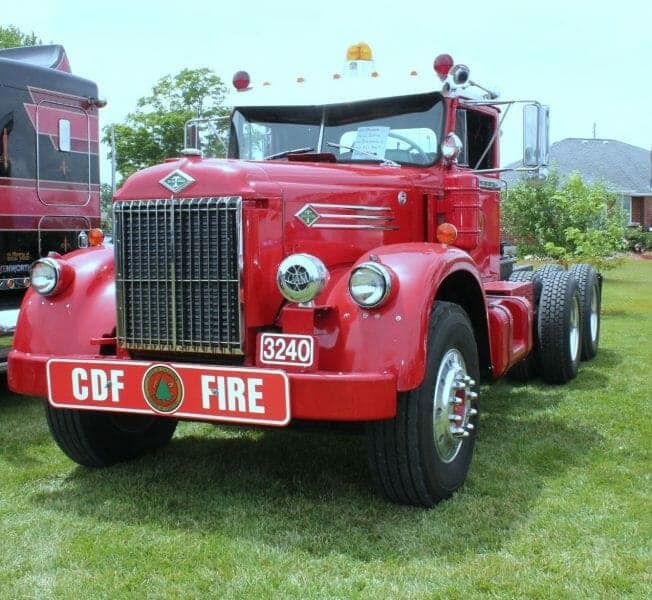 We love to show off our old truck pictures. 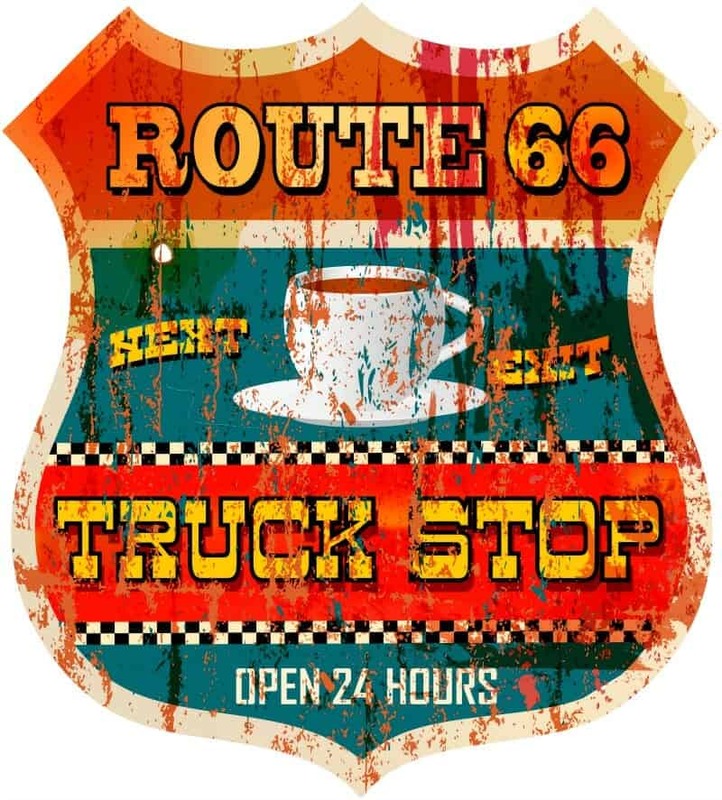 We hauled out the old photo albums and pulled the ragged, some faded pictures from their pockets of the old school big rigs that once ruled the highways in the glory days of trucking. 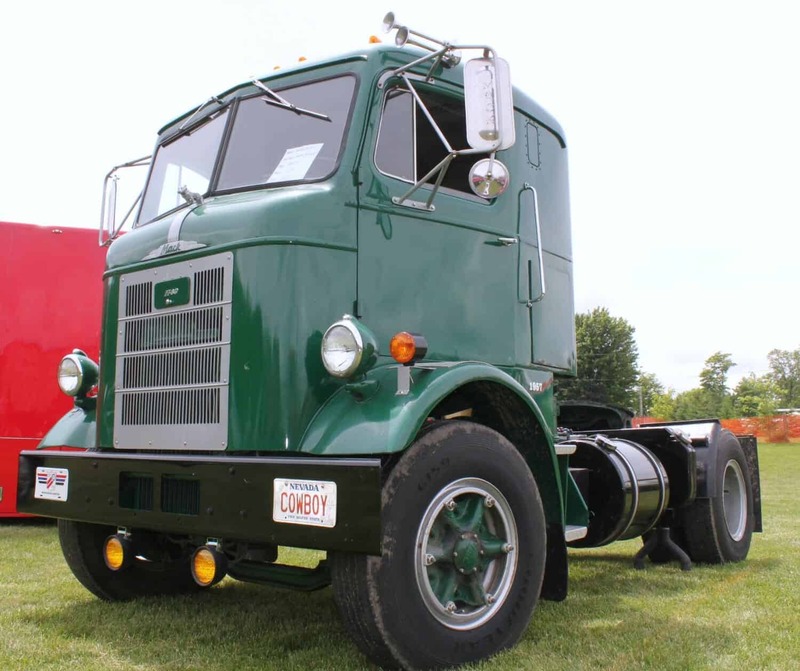 Some of these old trucks were an adventure to drive. 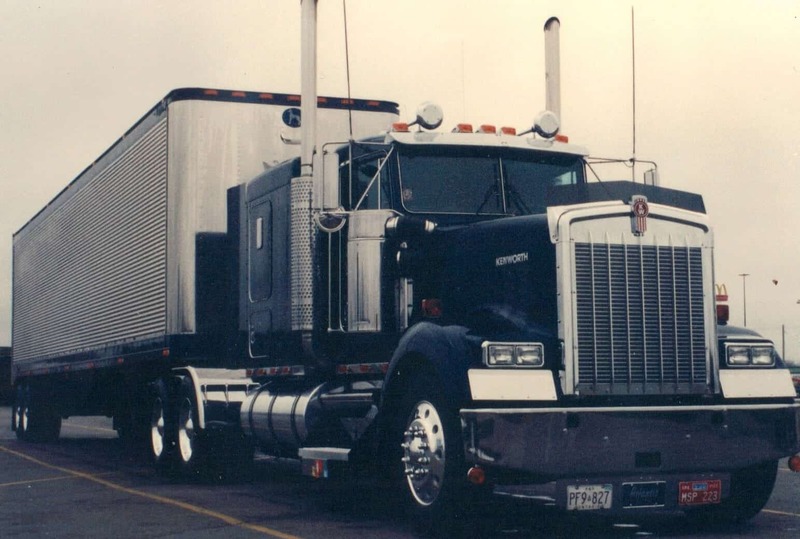 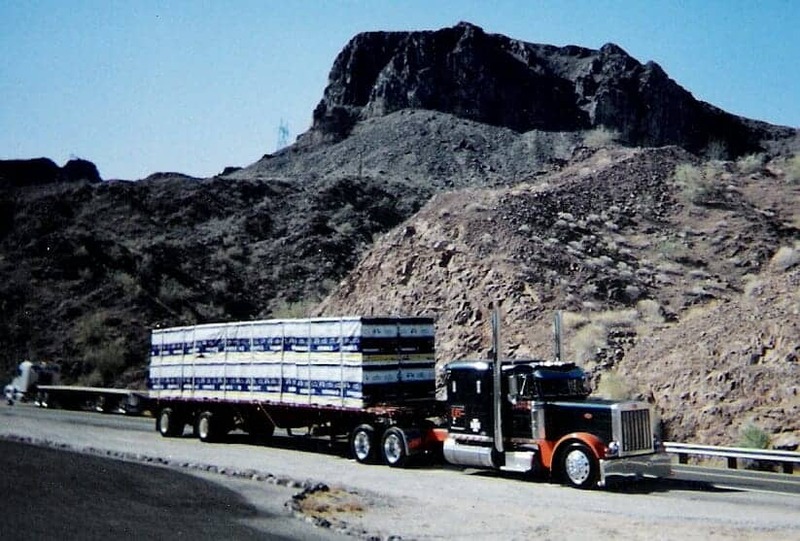 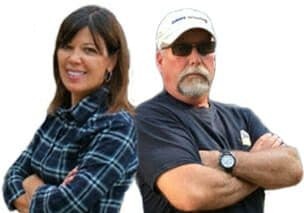 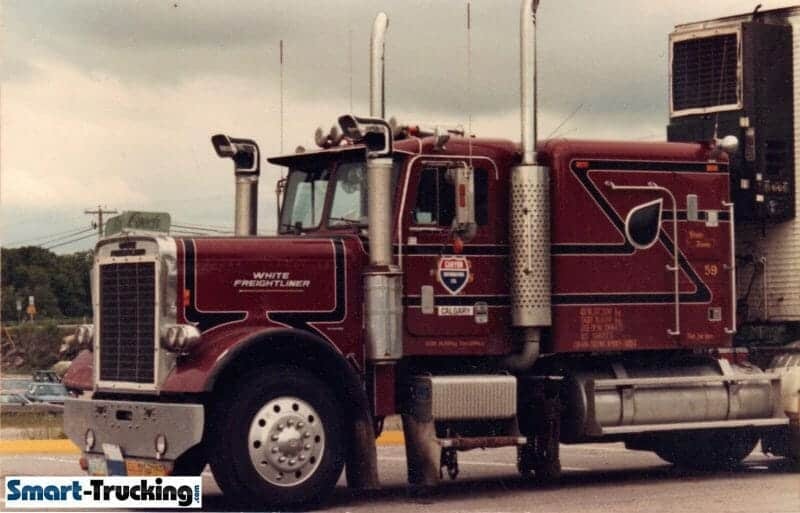 Even a short trip in one of the older rigs would give a modern day trucker an appreciation of what these old truckers went through and how tough and resourceful they must have been. 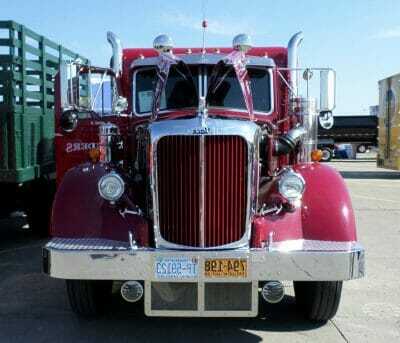 The driver needed to be bundled up in winter clothing and boots, to keep warm when driving one of those old girls! Some had gas powered engines, the rest had small diesel engines, but being under powered was usually an issue. 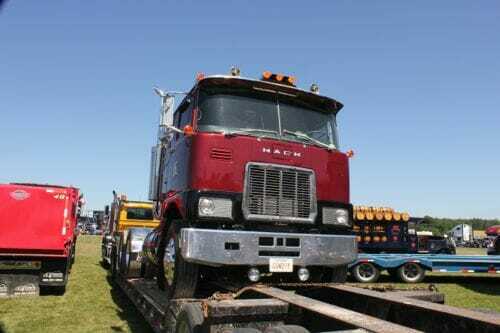 Missing a shift and stalling out on a grade was a lesson unto itself! 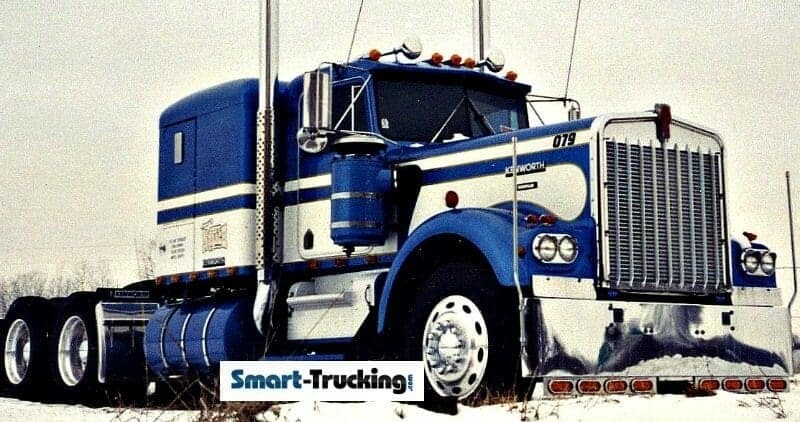 They had tube tires that went flat often and truck drivers then changed their own tires. 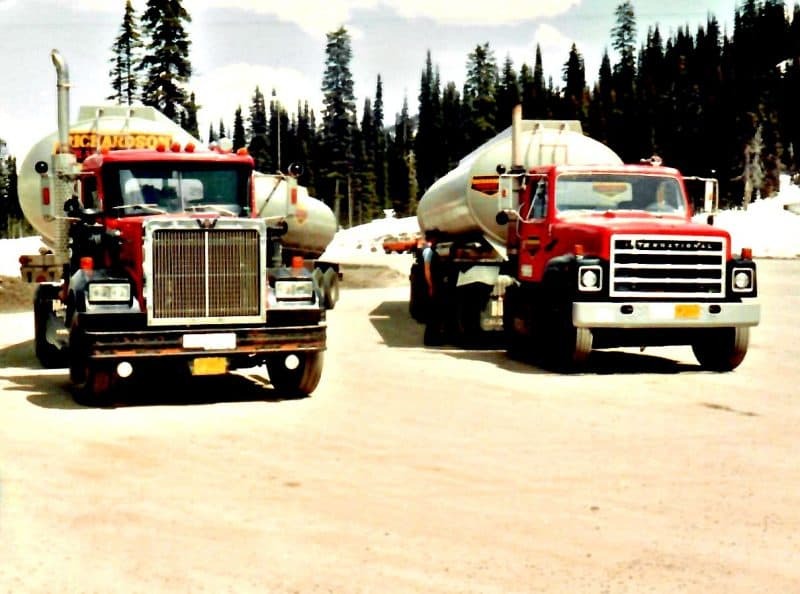 Even in the ’70’s, truckers changed their own tires. 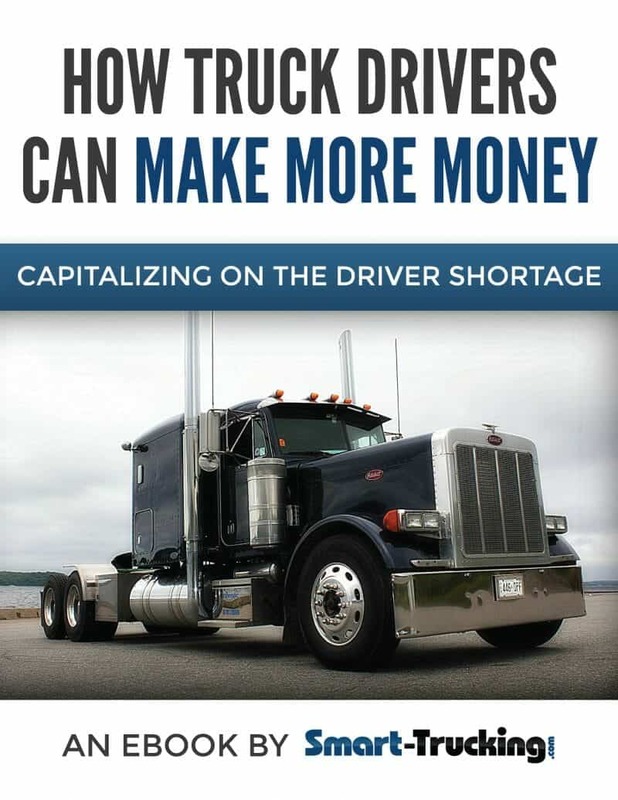 Changing a tire is unheard of in the industry today. 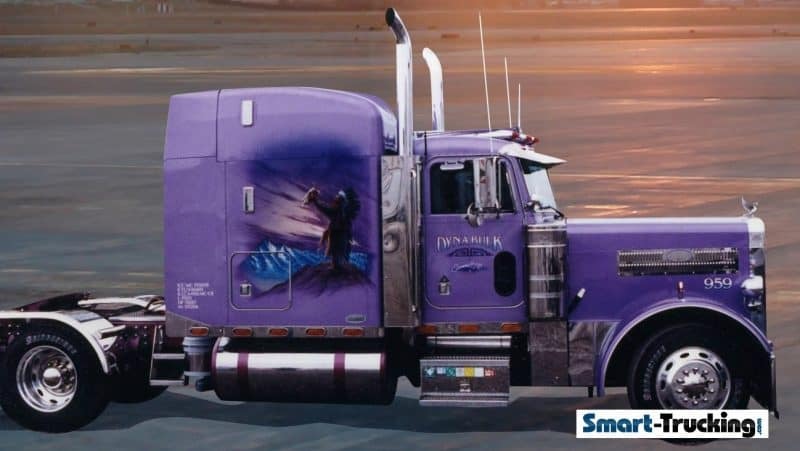 In fact, in some places, it’s illegal, unless you have proper certification. 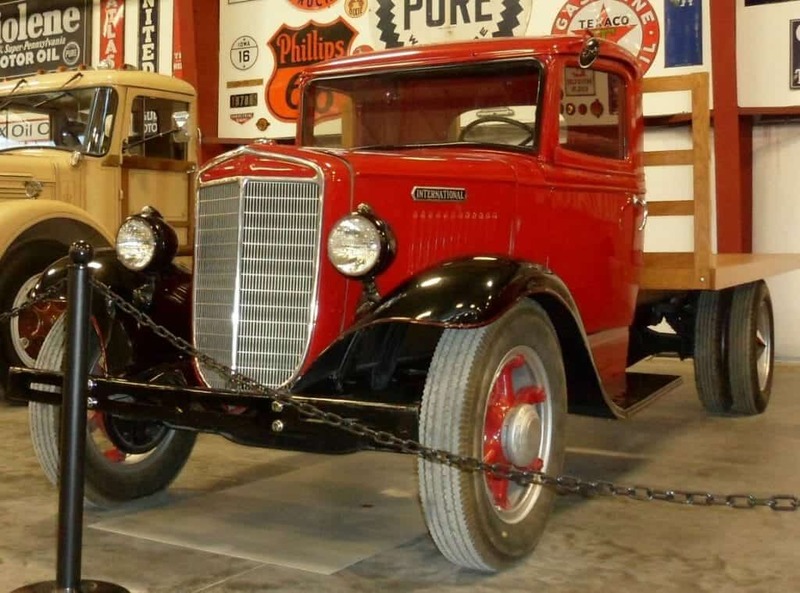 There was no wheel balancing back then, so if a truck was able to pick up any REAL speed on a good downgrade, the driver really had to hang onto the steering wheel as he could be shaken right out of the seat. The old big rigs then were pretty basic in build and design and that was nice because for the most part, the trucker could fix just about anything that went wrong with it, provided they could get the parts. 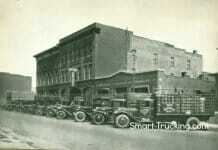 Sometimes this was a whole new challenge, too. 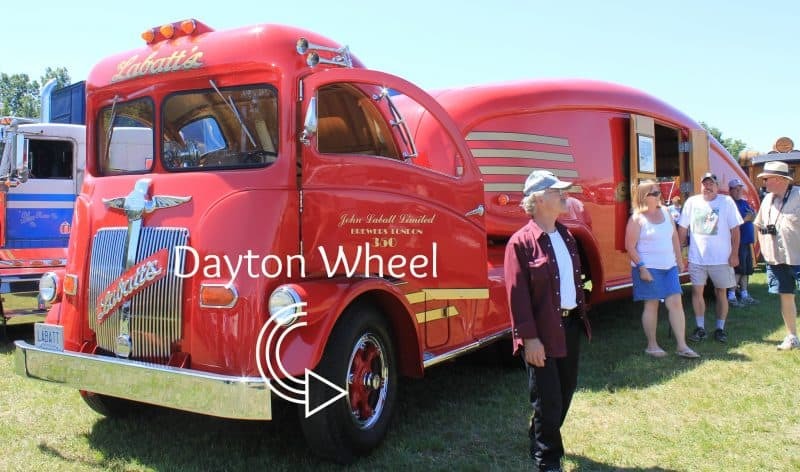 Many innovations from the old days were so tough and well designed, we still see them in use today, such as the Dayton Wheel. 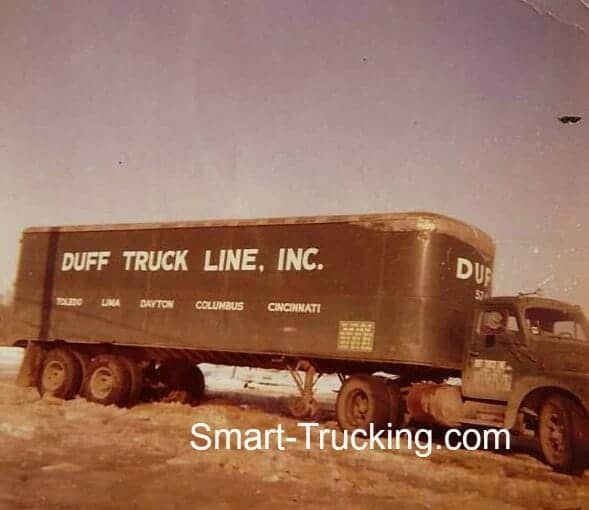 Trucking was a tough deal for tough men, back then. 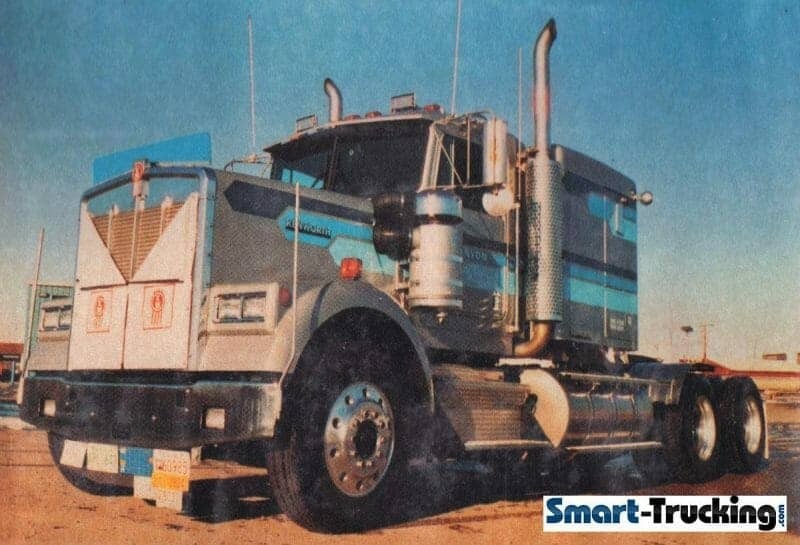 Perhaps that explains the nostalgic connection the old school drivers have to these trucks today. 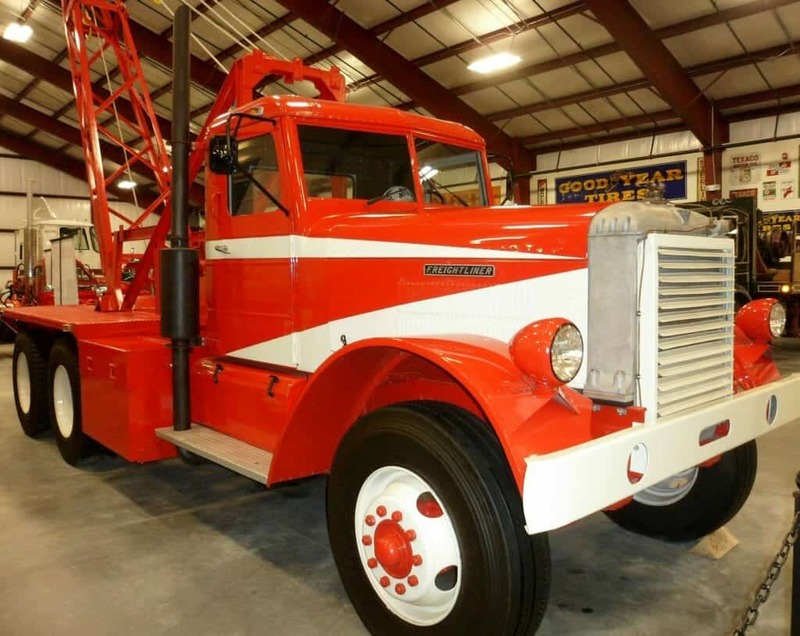 We are seeing more and more of these rigs being rebuilt and restored. 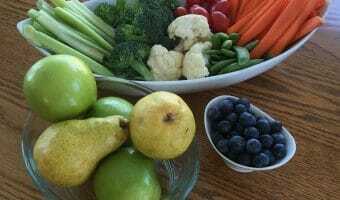 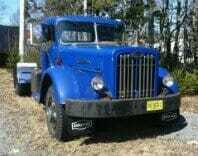 Many are restored to a condition better than when they were new. 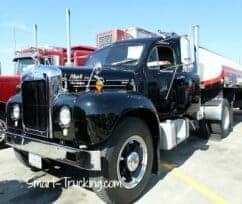 I really enjoy seeing these old rides at the truck shows. 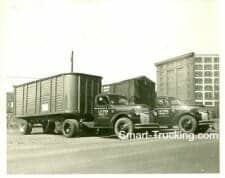 My grandfather was an old-time trucker and starting drivingback in the ’30’s or so. 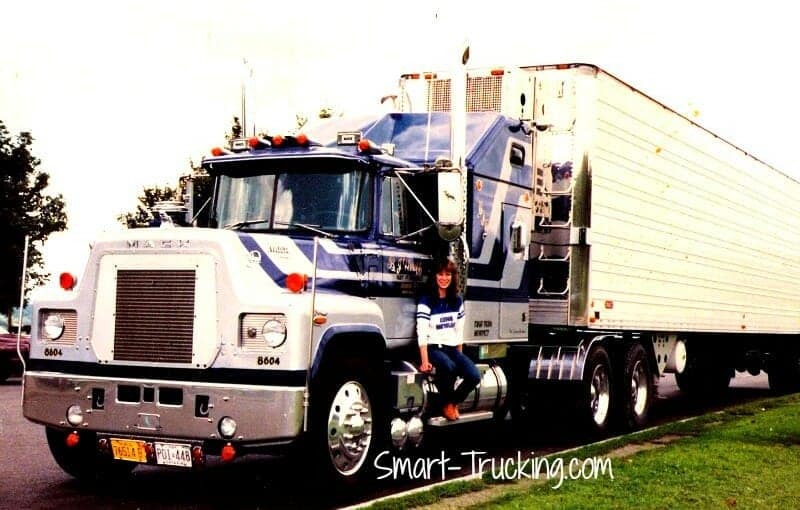 My love of big trucks started as a young child, as I was his ‘helper’ who handed him the tools as he worked on his rigs. 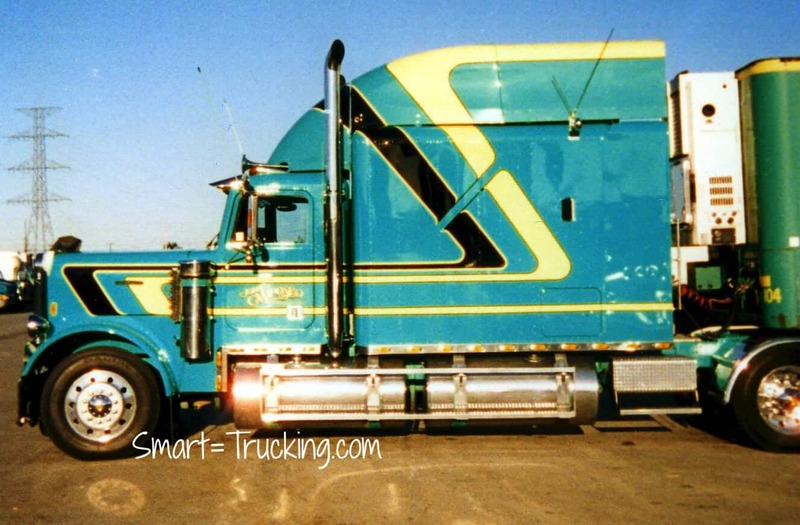 I knew every tool in the tool box by their correct name, before I could recite the alphabet. 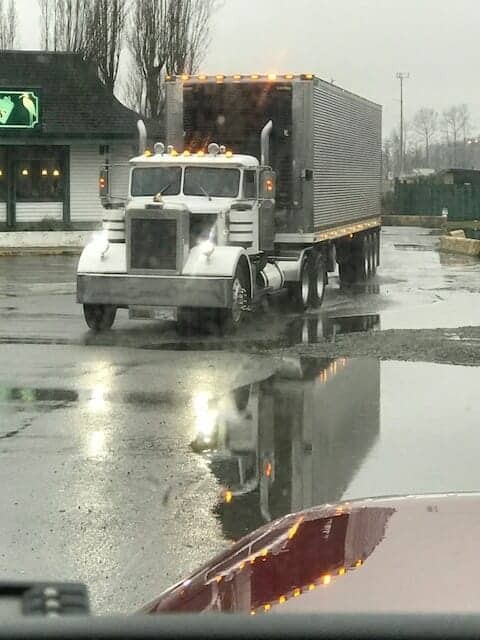 He had enough trucker tales to last a lifetime. 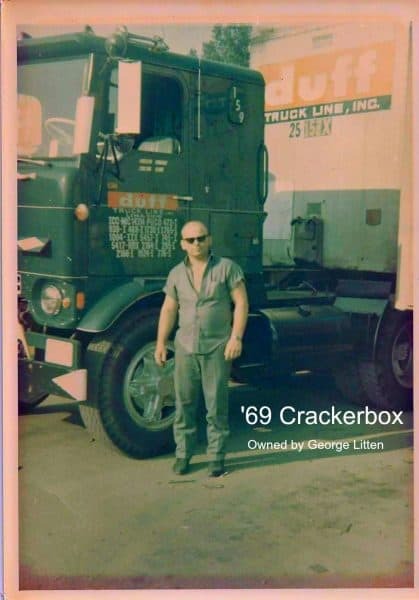 I would sit and listen to him by the hour, tell stories about his trucking days. 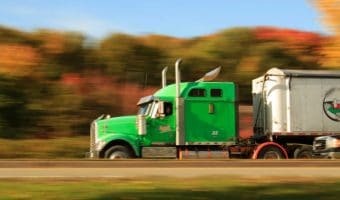 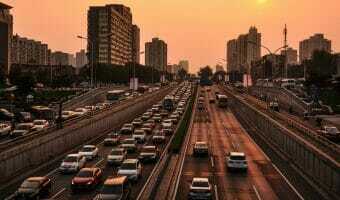 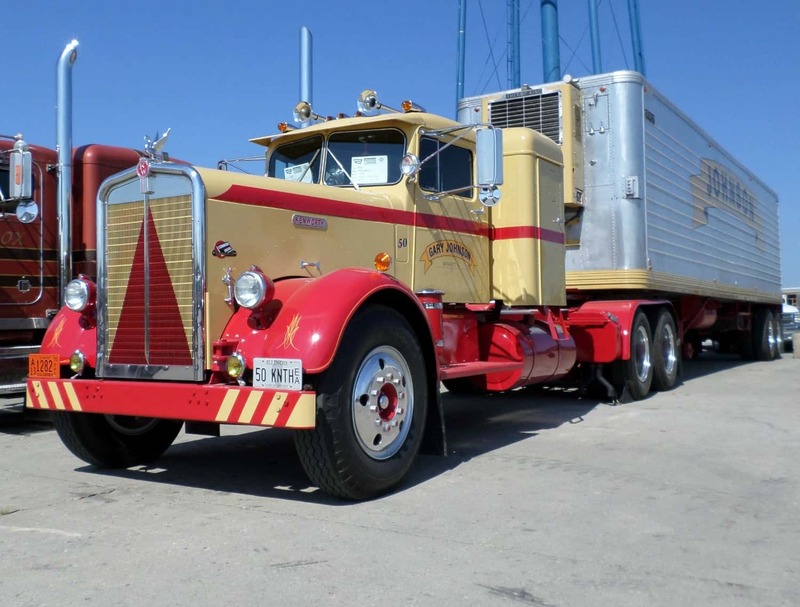 The experiences then were so very different from the things that truckers encounter today. 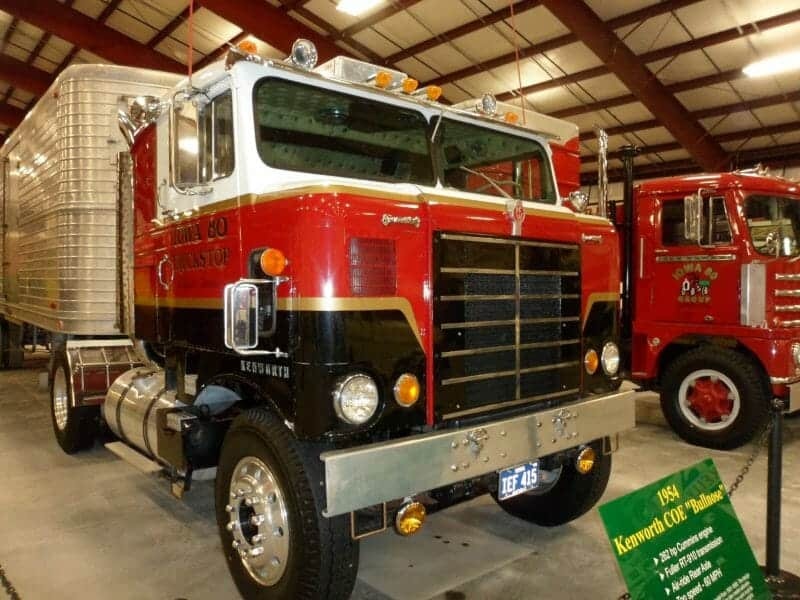 He retired from driving in the ’70’s, but wouldn’t part with his last truck, an International. He kept it for entertainment and to look it everyday. 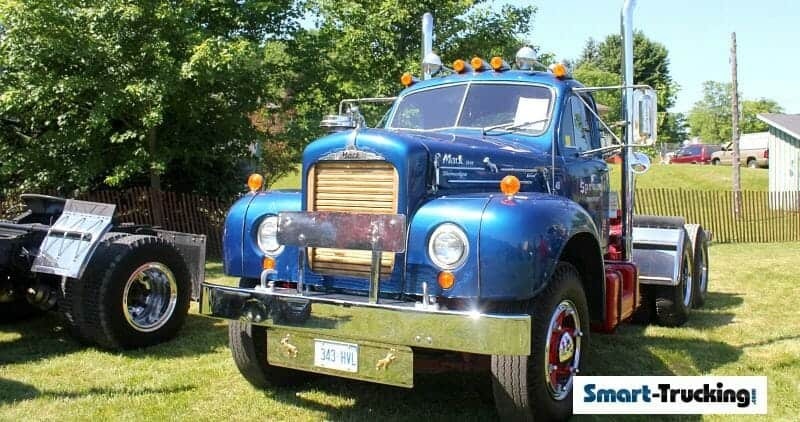 He was a backyard mechanic and fixed everything himself. 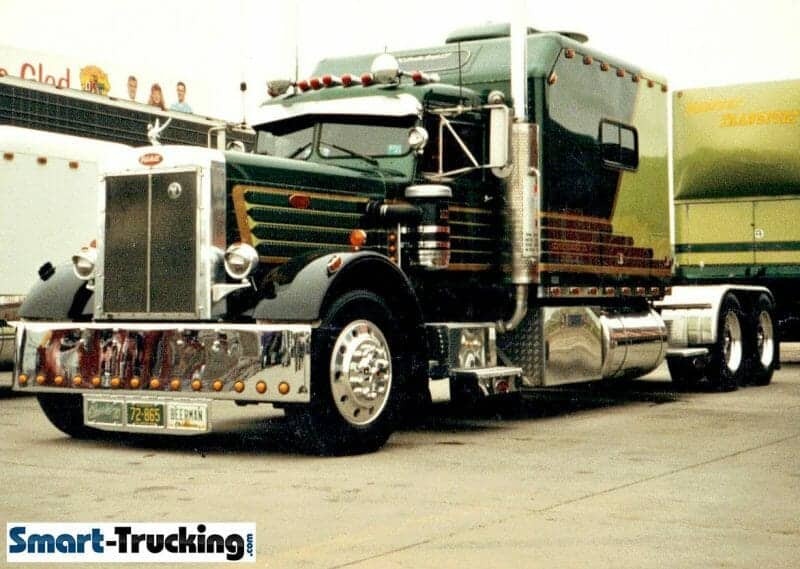 This old truck was part of who he was. 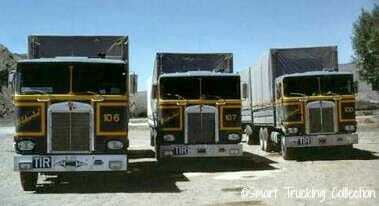 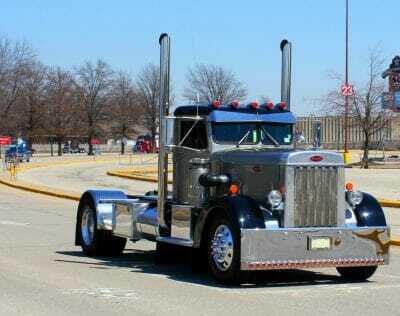 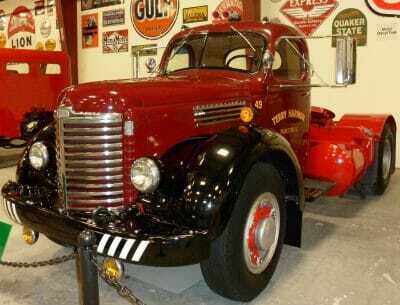 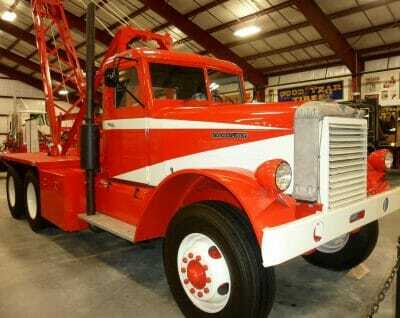 All these old restored trucks and old truck pictures were also part of some ‘trucker’s life’, too. 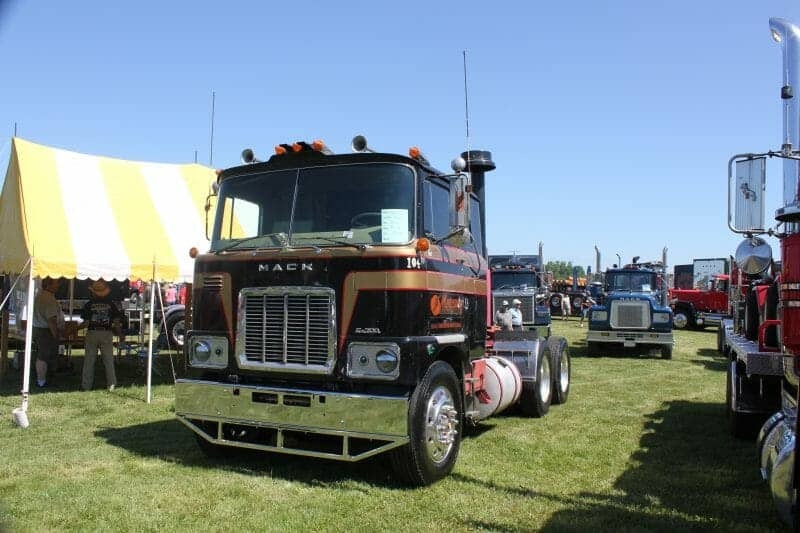 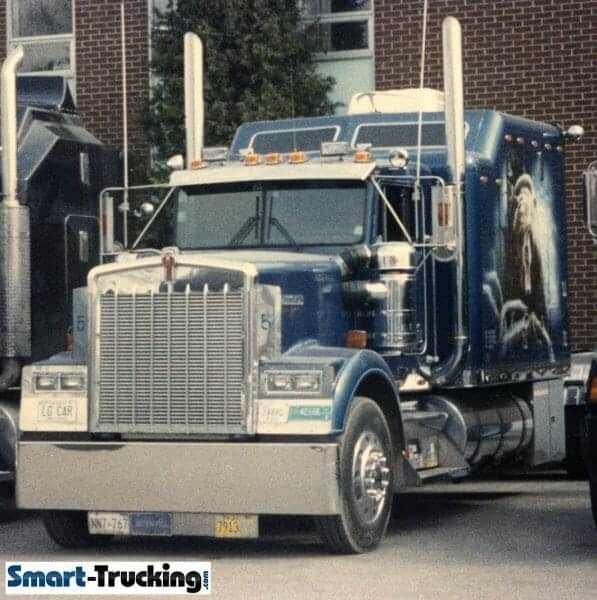 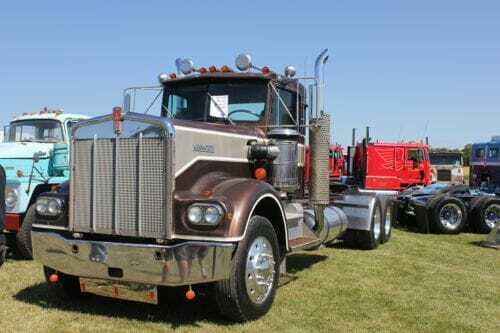 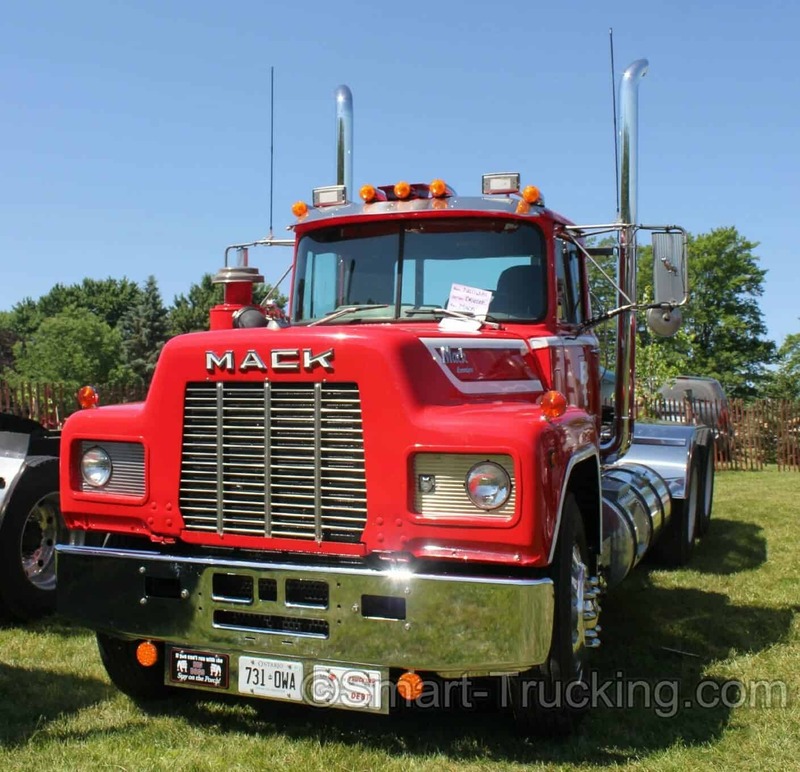 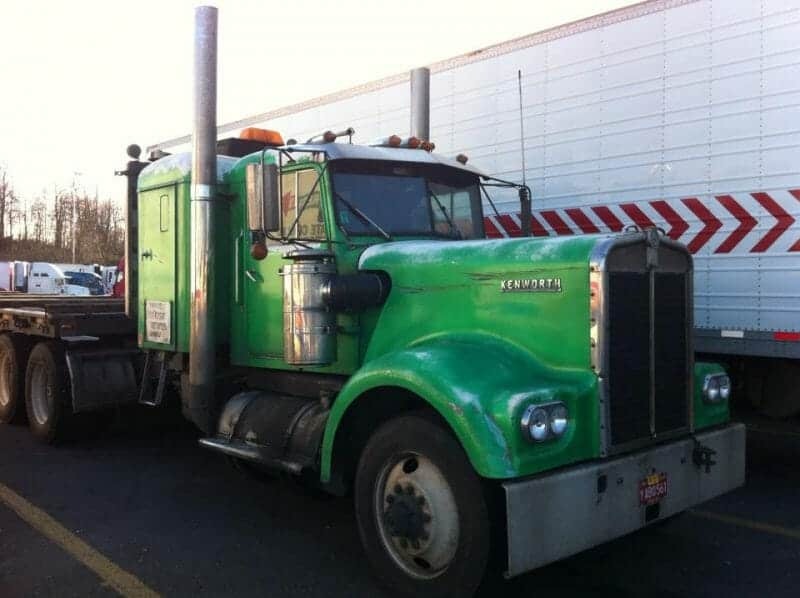 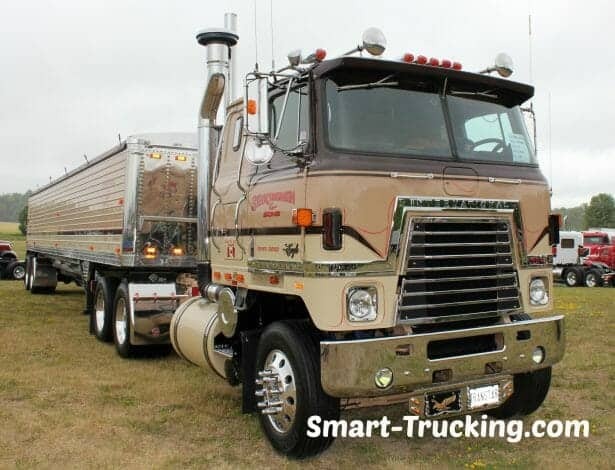 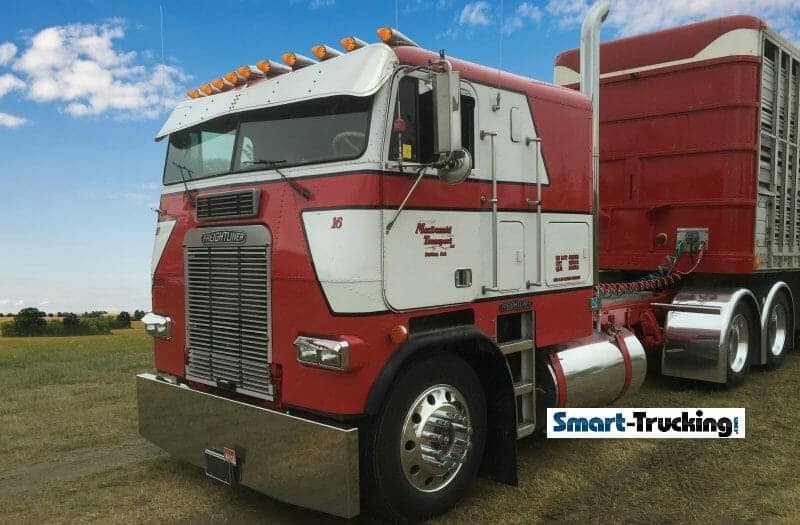 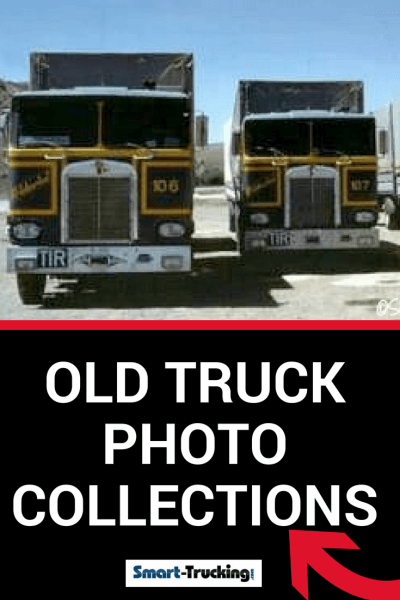 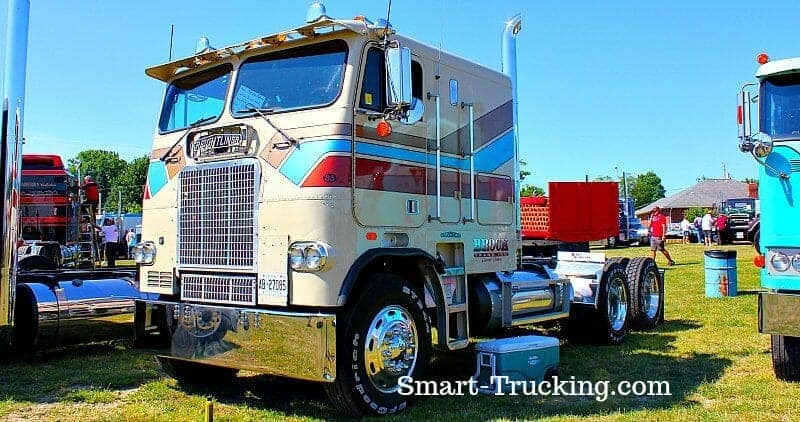 Check out the photo galleries below for old truck photos of some of the most popular old truck models, old cabovers, old Mack trucks, old Internationals, old Kenworths, vintage rigs and some of the old classic models such as the Peterbilt 359 and the Kenworth W900A’s.